Spring arrives tomorrow! And I thought, what recipe could I share that would be simple, delicious and welcome the fresh start of the seasonal new year? As I began poking around I discovered a simple French snack that requires minimal time and very little skills. Simply slice, spread and savor. 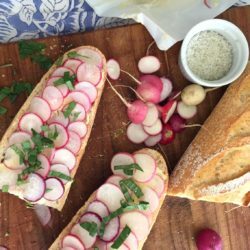 As the farmers’ markets begin to open up, pick up a fresh bunch of radishes, find the best quality butter (lightly salted is fine, but unsalted works quite well) and swing by your local bakery for a fresh baguette. 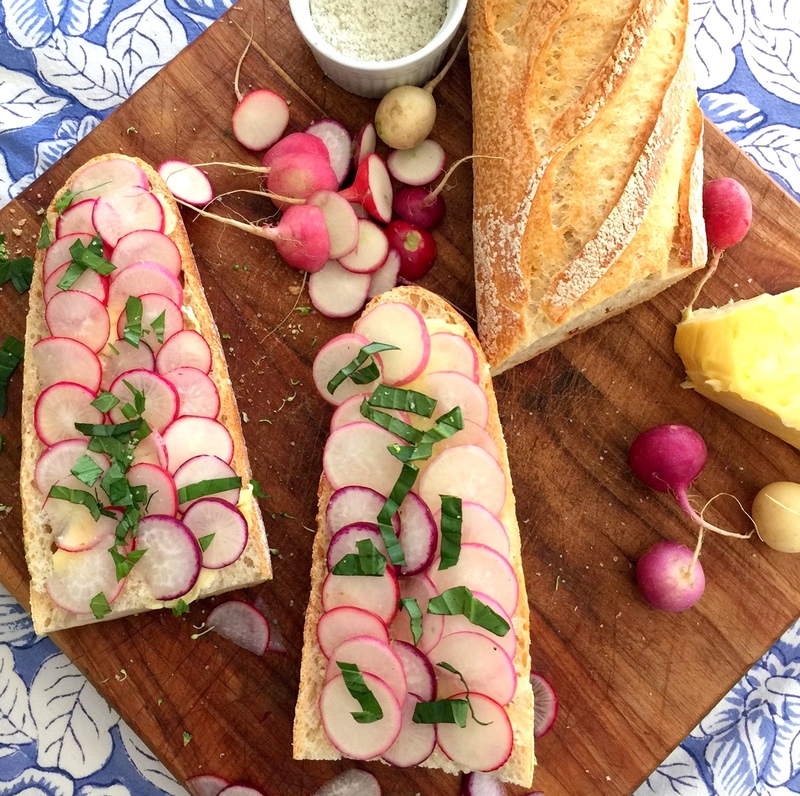 Now, slice the baguette and the radishes, decide which fresh herb you would like to top it with (oregano, basil, chives, parsley or dill are all options), and compile a delicious afternoon snack or appetizer. When I took my first bite, I immediately noticed the difference due to the butter. The bite reminded me of an open-faced vegetable sandwich and of course you can top with a finely sliced meat of prosciutto or any that you prefer. 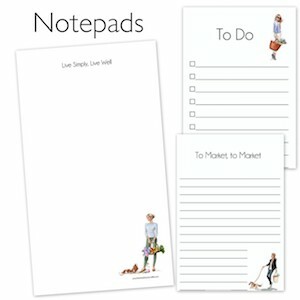 Pair with a crisp rosé or white wine and be reminded that spring is here. Oh, what a beautiful season I am hopeful it will be. Find the recipe below. Bon appétit! Set the butter out so that it reaches room temperature. Slice a baguette tartine style (as seen below), or in small slices on the bias. Julienne or rough chop your fresh herb of choice. 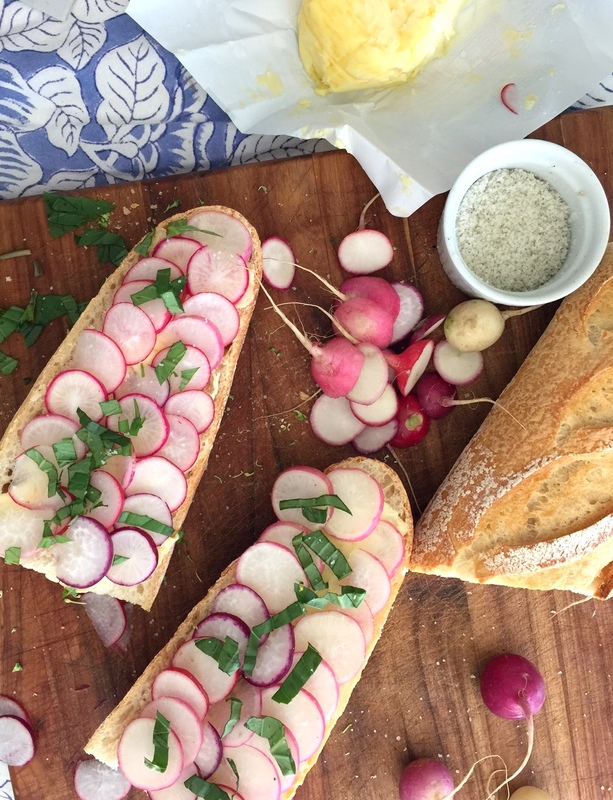 Slice the radishes (thick or thin depending upon your preference and how much crunch you prefer. I realized I wanted my thicker after slicing most rather thin. I do love a good crunch. On each slice of bread, spread some butter. Top with radish slices, a few grains salt, and fresh herb. Yum, Shannon! This looks really good. Going to try this! You’re most welcome Michelle. 🙂 Have a lovely week-end as well. That is really interesting looking butter. I’ve never seen it before. Is it easy to find? I found it at my local grocer which is a bit on the gourmet side; however, in Safeway pick up Kerry Gold or Plugra (both available in unsalted and salted) and these are wonderful butters that I regularly use for cooking and quality flavor. Very french, very delicious! 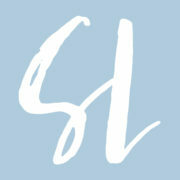 Ina Garten shares a love of this dish as well. Quelle bonne idée, je n’y aurai pas pensé. Donc ce soir ce sera tartines au beurre salée avec rondelles de radis. 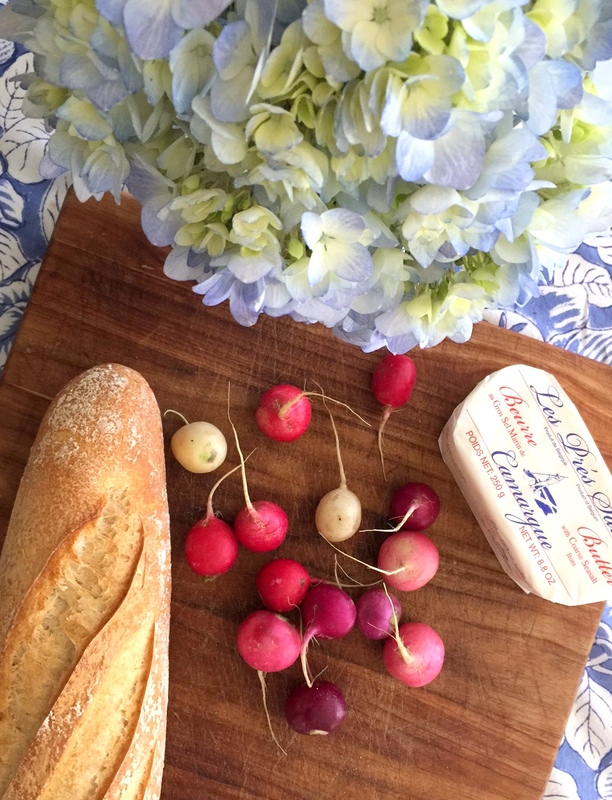 My market had Easter Egg Radishes for spring with shades of pink, lavender, and white. 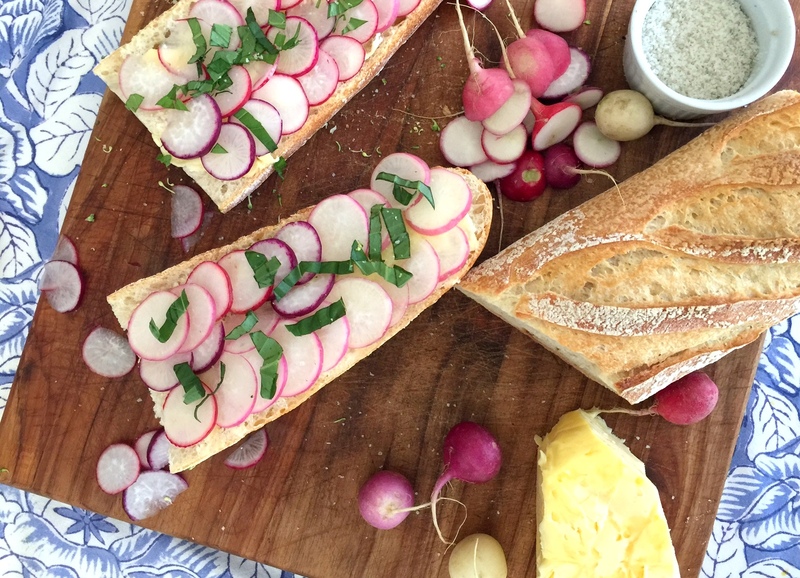 I also love fresh tarragon on radish sandwiches for teatime.